This transcript of my paternal grandmother’s diary has been made from the original “Pettitt’s Annual Diary for 1895”, which came into my possession after her death on 31 January 1971. After some entries I have added notes in italic on people and places [see indexes at end of transcript]. 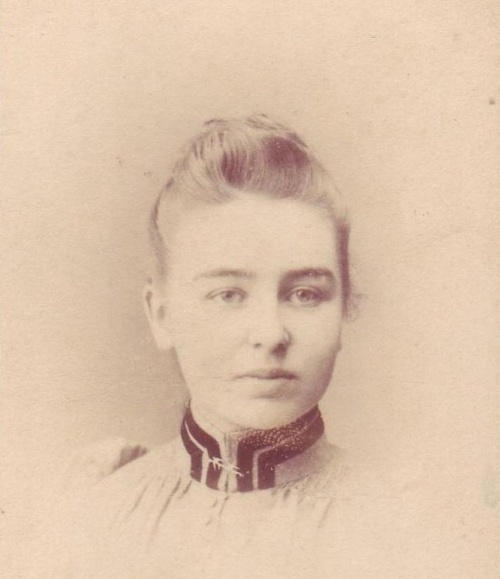 When the diary opens on the last day of 1894, Ethel Lizzie Moody [ELM] would have been aged twenty-one [she was born on 28 December 1873] and she was living at the family home, 17 London Street, Basingstoke, from where her father, James Moody, had run the family business until his death in 1888. 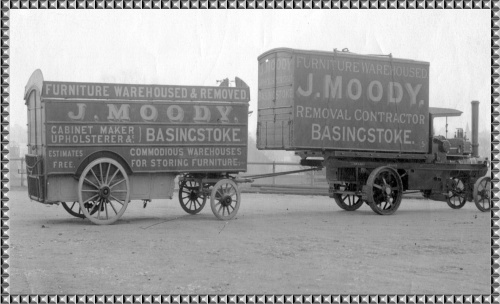 An 1895 billhead, headed “J Moody”, describes the business [“Established in 1800”] as: the “Complete House Furnisher” with interests in “Removals and Warehousing”. 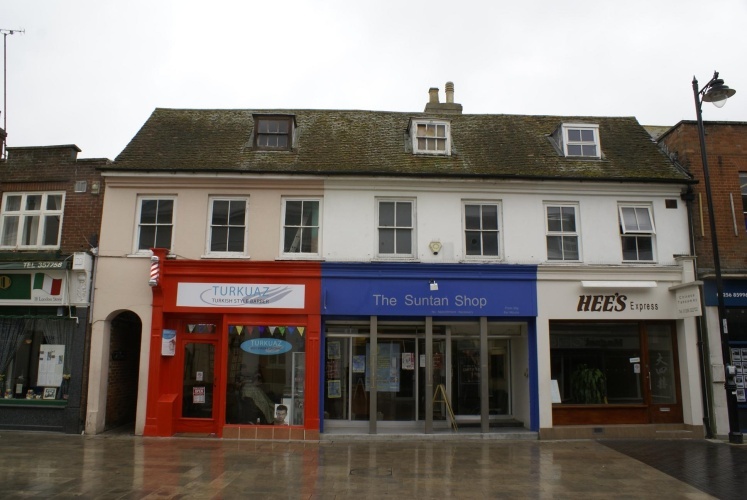 The billhead also proclaims: “Funerals Furnished” and “House Agency and Valuations. Antiques. 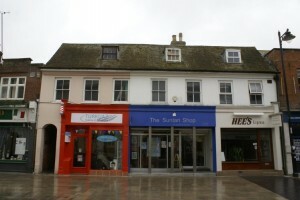 Workrooms & Workshops on the premises”. 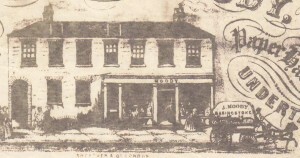 It is interesting to see from the illustration of 17 London Street on an 1866 billhead, that the frontage today is substantially the same as it was then, with seven first floor windows and the entrance to Jacob’s Alley running through it. James Moody had three sons. The eldest, Arthur William, who took over the running of the business after his father’s death is not mentioned in the diary. The second Moody son, James Butler [usually known as Butler in the family] had left home to go into the brewing business in Colchester and Manchester. At some stage he was Head Brewer at Hodgsons Brewery in Kingston. ELM’s younger brother, Frank Vine, who eventually joined Arthur in managing the family business, seems to have been living in Richmond, towards the end of 1895. 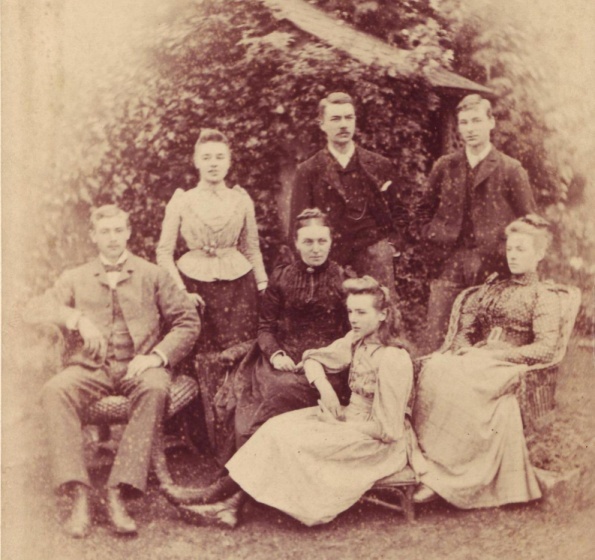 As well as three brothers, ELM had two sisters – Blanche Ada and Mabel Winifred. 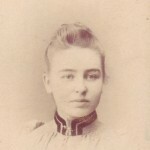 At the close of 1894, ELM’s widowed mother, Elizabeth Moody [née Paice] would have been aged fifty-one. The family business of James Moody went into liquidation in 1936. A special “thank you” to friends and relatives who helped with background information, particularly to Geoffrey Butler, Angela Masterton-Smith and Ann Hedley. Also to Barbara and Bob Applin of the Basingstoke Archaeological & Historical Society; Mrs J Kelsey, Deputy Registrar, The Royal Collection Trust, Windsor Castle; Carolyn Hammond, Local Studies Department, Public Library, Chiswick and to Barbara Fairbrother for the gift of an 1890 Basingstoke Choral Society programme. And warmest thanks to Gail Cope, who prepared the first draft and to Frank and John Belt for help with printing.